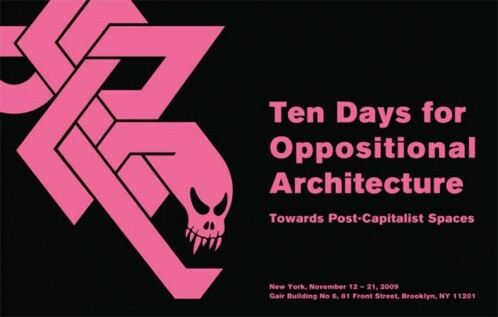 In this context, the event “Ten Days for Oppositional Architecture” took up the task of exploring possibilities and conditions of a socially committed architectural practice. This event invited activists, geographers, architects, planners, and economists representing different critical approaches to discuss and develop concepts and practices that not only oppose and challenge the capitalist mode of spatial production, but also go beyond its strategies of de-commodification, re-appropriation and alternative production of space. We examined existing spatial actions of resistance and searched for new possibilities that could be theorized: How can these strategies and alternative practices be turned into social and political forces towards post-capitalist spaces? An exhibition and a reading corner supported and documented the discussions.